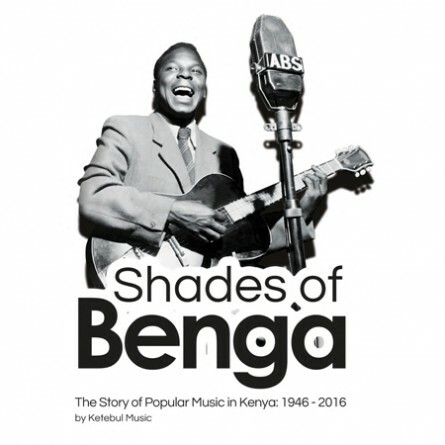 Although dozens of works have been published over the years on various characteristics of popular music in Kenya – from conventional folk to hip hop – none captures the history of music and its players as authoritatively as Shades of Benga: The Story of Popular Music in Kenya. An informed study of some literary publications and academic papers on music immediately reveals that the writers, who frequently tend to be foreign ‘experts’, do not seek the opinions of pioneer musicians who helped shape the various genres of music. Their research is largely based on information obtained from sources that are readily available on the Internet but often not easily verifiable. As we wrote this book, we made every possible effort to engage with practitioners directly involved in creating and shaping benga in order to ensure that their collective voice remains the sole critical factor to placing the music in its proper perspective while simultaneously giving the other genres in Kenya their correct definition. We undertook the arduous task of meticulously putting together the content that would faithfully recount the remarkable story of the development of our music in a manner previously not attempted. In an effort to make this 678-page book an easy read as well as eye catching, Shades of Benga: The Story of Popular Music in Kenya features over 400 pictures.